We provide a range of compliance services to support all aspects of business administration. 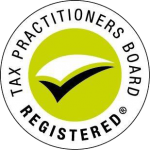 We can help you by making sure accounts are prepared in the correct format, statutory books and other company secretarial records are kept up-to-date and that all statutory returns are prepared.We will relieve you of the regulatory burden and leave you more time to concentrate on other areas of your business. In short, we will make sure everything is in the right format, in the right place and at the right time. We provide an efficient service ensuring that all the documents and detailed formalities of administering a company are dealt with in accordance with all aspects of the Corporations Act. To achieve this all companies are regularly monitored to ensure that statutory requirements are not overlooked thus avoiding penalties for default and non-compliance. Consent to use of Company’s Registered Office address.